In 1985, I became licensed to practice medicine in the U.S., and two years later completed my corneal fellowship at Harvard. Repatriated and flush with knowledge about the rapidly advancing field of corneal transplantation, I faced the dilemma of a donor shortage in Japan preventing ophthalmologists from aiding patients in need. I established a system for importing corneas from the U.S. for transplantation at Tokyo Dental College Ichikawa General Hospital where I was employed. Naoshi Shinozaki (former head of the Tokyo Dental College Cornea Center) and I established the Eye Bank and Cornea Center, the latter ultimately performing more corneal transplants than any other facility in Japan. Today, the Center continues its success under the leadership of Professor Jun Shimazaki, accomplishing nearly 200 corneal transplants annually. This is a real source of pride for me. 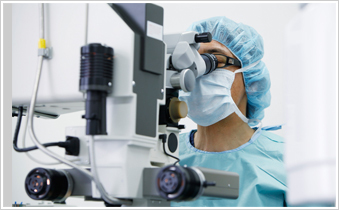 Moreover, we continue to provide global pioneering of corneal transplantation therapy using regenerative medicine. Today, at Keio University Hospital and Minamiaoyama Eye Clinic, we are investing great effort into corneal transplantation treatment. We also plan charity musicals for the Eye Bank and organize activities to raise awareness about the splendor and importance of sight. In addition, I am working on research on corneal regenerative medicine using iPS cells along with associate professor Shigeto Shimmura. In the future, it will be possible to perform corneal transplantation with iPS cells, and eventually we think it would be wonderful if the Eye Bank would become obsolete. Long-term homeostasis and wound healing in an in vitro epithelial stem cell niche model. Sci Rep. 2017 Feb 24;7:43557. doi: 10.1038/srep43557. Skin-Derived Precursors as a Source of Progenitors for Corneal Endothelial Regeneration. Stem Cells Transl Med. 2017 Mar;6(3):788-798. doi: 10.1002/sctm.16-0162. Epub 2017 Feb 6. Challenges and Strategies for Regenerating the Lacrimal Gland. Ocul Surf. 2016 Apr;14(2):135-43. doi: 10.1016/j.jtos.2015.11.005. Epub 2015 Dec 29. Review.